Art imitates life. Or does it? One sleepy Sunday morning in Buenos Aires, the protagonist of Martinez's brilliant new mystery finds himself unexpectedly tangled up in the story of Luciana, a former authors' assistant whom he has not seen for at least ten years, and Kloster, a rival writer - only far more successful; bestselling, in fact. What he discovers will make him question everything he had always believed - taken for granted - about chance and calculation, cause and effect. Luciana is desperate. In the decade since she last had anything to do with either of the writers, nearly all her close family have died, in highly unusual circumstances. And Luciana or her sister could be next. Luciana's convinced that her one-time employer Kloster is behind the deaths, punishing her for her part in the break-up of his marriage in a murderous frenzy of revenge worthy of one of his own prodigiously successful crime novels. But which comes first, the murders or the novel? 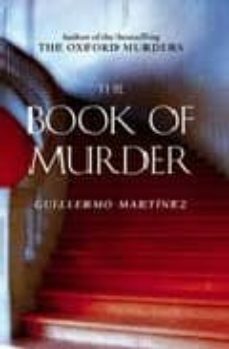 Clever and gripping, THE BOOK OF MURDER is a chilling crime story in which the line between facts and fiction suddenly seems blurred.